Khoo Kongsi is one of Georgetown’s most interesting attractions. Built some 650 years ago, it is part of the goh tai seh (five big clans) that formed the backbone of the Hokkien community in olden-days Penang. One of Penang’s most lavishly decorated kongsis, it is located on Jalan Acheh, off Lebuh Pitt. A kongsi (clan house) is a building in which Chinese families of the same surname gather to worship their ancestors. Representing a family’s social and spiritual commitments between extended relations, ancestors and the outside community, the kongsi also acts as an important means of solidarity. 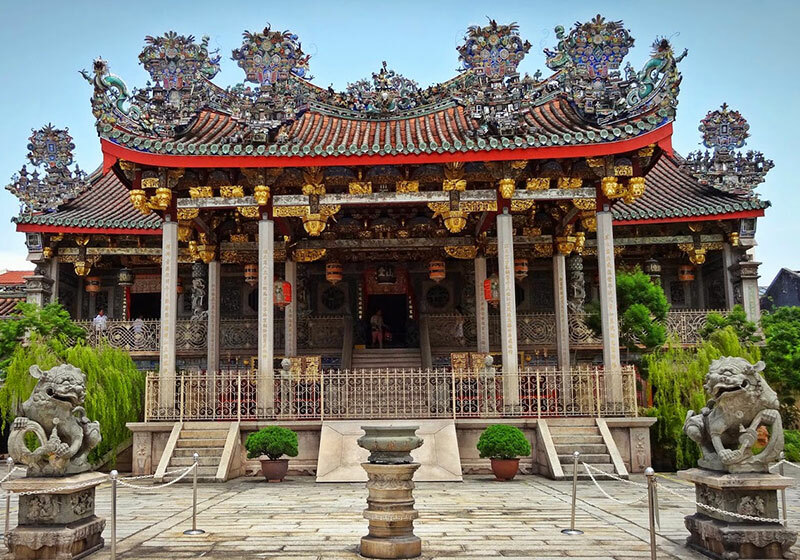 Short Description: The Khoo Kongsi is a large Chinese clanhouse with elaborate and highly ornamented architecture, a mark of the dominant presence of the Chinese in Penang, Malaysia. The famous Khoo Kongsi is the grandest clan temple in the country. It is also one of the city's major historic attractions.